Councillors are set to discuss plans for 64 new affordable houses in Newtown next week. Edinburgh-based Hart Builders wants to build a new estate to the north of Sergeants Park and west of Newtown Primary School on behalf of Eildon Housing Association. 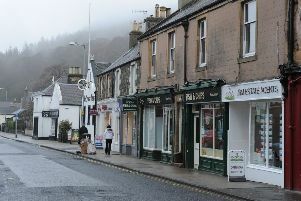 However, the proposals have met with criticism from Newtown and Eildon Community Council, which says that more developer contributions are needed in order to improve the infrastructure and amenities of the village. Community councillor Roger French said: “The community council and the village have been led to believe that the new housing developments in the council’s local plan would be beneficial to Newtown as a result of developer contributions. Scottish Borders Council’s planning and building standards committee is due to discuss the plans on Monday.